Turkish forces have entered the northern Syrian town of Al Bab, which had been held by the Islamic State terror group, President Recep Tayyip Erdogan reported, vowing that the Turkish troops will continue their advance through the border region to Raqqa. “Our forces and the Syrian Free Army have entered Al Bab… Now Islamic State [IS, formerly ISIS/ISIL] militants are leaving Al Bab,” Erdogan told reporters on Sunday, as quoted by Haberturk newspaper. 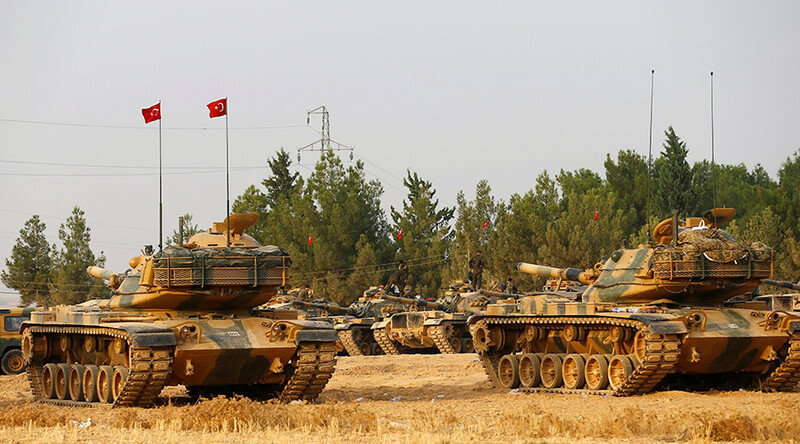 He also noted that the final goal of the Turkish military operation in Syria is not merely to retake the city of al-Bab from Islamic State, but to cleanse the entire border region of the jihadists, including the terrorist group’s Syrian capital, Raqqa. “The ultimate goal is to cleanse a 5,000-square-kilometer area,” Erdogan told the news conference, as cited by Reuters.